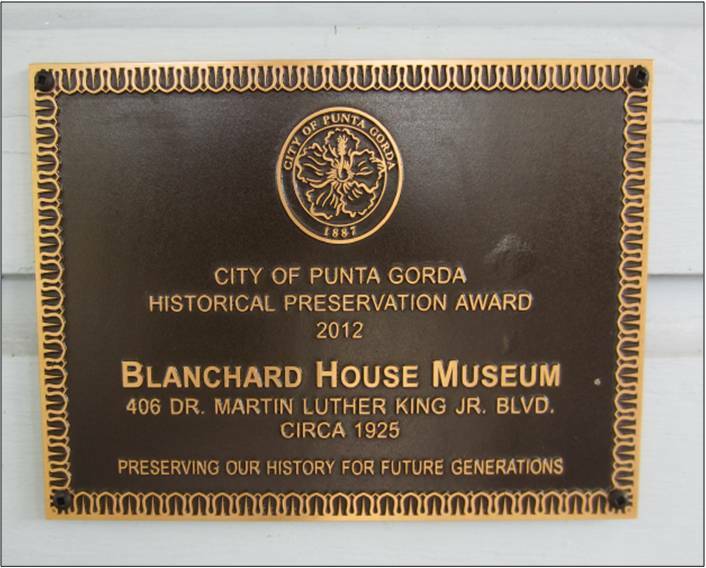 The Bernice A. Russell Community Development Corporation (BARCDC), in Punta Gorda, Florida is a non-profit 501(c)3 organization that owns and operates the Blanchard House Museum. Your donations are tax deductible to the fullest extent of the law. You are cordially invited to become a member of the Blanchard House Museum. We share "untold and untaught" history of African Americans in Charlotte County and the diaspora. This is your opportunity to increase awareness of the rich diversity and history of Charlotte County. Your generous gift ensures the past is there for future generations. We want to thank all of our supporters, we are appreciative and grateful for your support that has allowed us to operate the museum for the past 10 years. Thanks again! Click on the black Square to make a Tax Deductible Contribution via Square. Click on the Square box to make a donation to the museum. On the next page, click on the plaque picture to make your ticket purchases. Your donations help us to preserve history. Thank you! I’ve you’ve had an enjoyable visit and would like to support the museum, consider leaving feedback on Trip Advisor at Trip Advisor, search “Blanchard House Museum” and “Punta Gorda” on the Trip Advisor website. Thank you.